The potential of blockchain application has been an often discussed topic recently. In DECENT we can’t wait for the innovative solutions to come and we want to be a crucial part of the future. We are proud to announce that the prototype of blockchain based content distribution platform DECENT is finalized! Our vision to reinvent the process of digital content publishing reached the point of realization. During the last couple of months our main aim was to create a tool in which we could clearly demonstrate the most important features of DECENT network. While including content uploading and downloading, price stamp creating, content rating and blockchain utilization we wanted to show the very basis of DECENT protocol and its capabilities. Check out our demo video showing the basic GUI and API in which you can see a step-by-step guide for content sharing and buying, rating the author and checking whether the transactions have been securely saved in the blockchain or continue reading for the brief description of basic functionalities. The author divides content into the public and encrypted part, specifies the number of publishers (miners) and key particles needed to restore the decryption key, sets the prize and submits the content. The torrent file is created and shared with publishers who store the content and distribute it to the consumers. 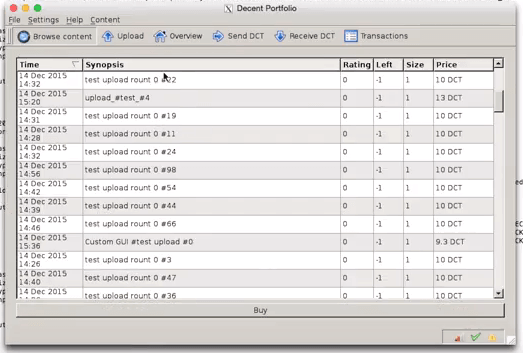 When the content consumer chooses the content, the particular amount of DCT tokens is blocked from his account (promise-to-pay) and he can download the content and the decryption key. 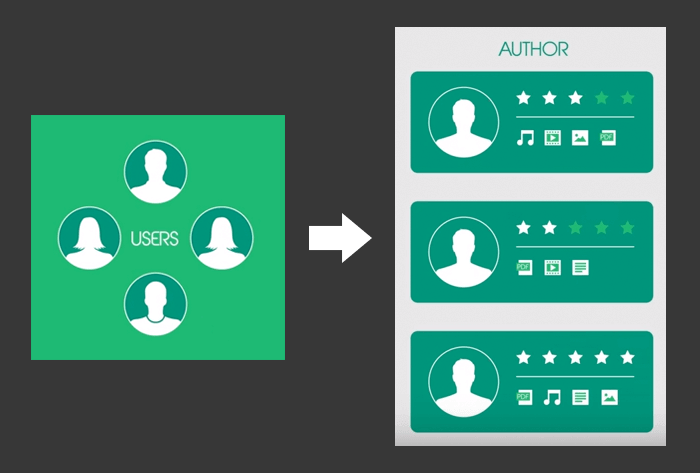 The payment layer of DECENT protocol ensures that the whole amount of money paid by the consumer goes to the author, while the author’s fee for publishing goes to the publishers. The peer-to-peer transaction system eliminates third-party fees and data storage fees and therefore it makes the online content sharing cheaper and easier to use. 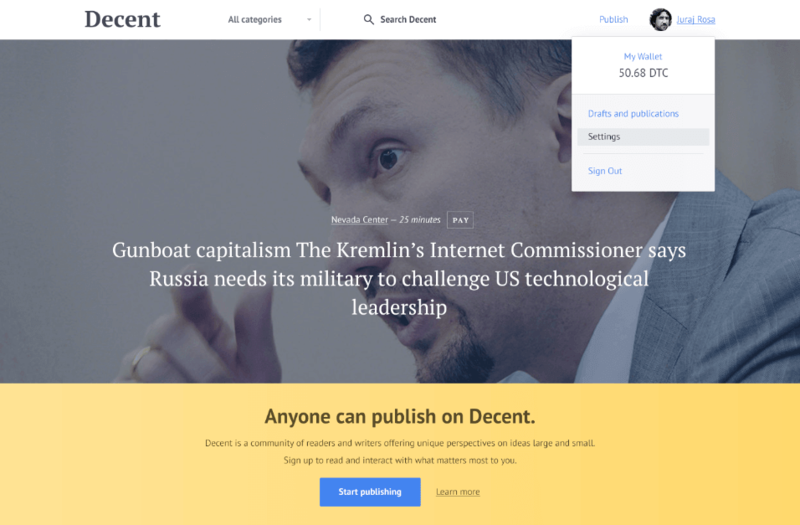 DECENT’s recommendation engine allows authors to build lifetime reputation within the platform. When the author uses the same ID for every content upload, its rating will become permanently connected to him. The content consumers (readers, viewers, listeners etc.) rate the content in two ways. Firstly, they express their interest when buying the content and therefore recommending it. Secondly, after purchase, they leave rating for the content itself. This data are used for creating the recommended content for other users, while the process combines their personal interests and popularity of the author or the content. Would you like to read more detailed technical description of DECENT protocol? Then read the preliminary version of DECENT paper! We are looking forward your comments and reviews.